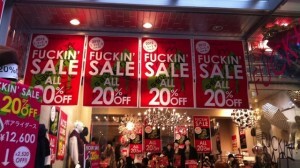 Looks like some one needs to tell the Japanese that the F word is really bad, especially when you have it in the store on a display! Gawker reported this cool pic which is super hilarious. Enjoy! Previous SwingHolder – A Stand for the iPad! Next Lumia 900 leaked picture is real or a rumor!